Why Choose Stern Risk Partners? At Stern Risk Partners our team of seasoned industry professionals has been designing, forming, licensing and managing captive insurance companies for over 25 years. We maintain the necessary relationships with key insurance regulators and have created over 200 captives in domiciles like Arizona, Bermuda, Cayman Islands, Delaware, Georgia Hawaii, Nevada, North and South Carolina, Utah, Vermont and Washington DC. We’ve spent our careers in corporate conference rooms all over America consulting CEO’s, CFO’s, Risk Managers, captive owners and prospective captive owners on the best ways to maximize captive underwriting results. We implement real world solutions that lower a client’s total cost of risk. We help our clients find new sources of income by capturing underwriting profit and investment income from affiliated customer and supplier exposures - providing your business with more control of your risk financing program. The world of captive insurance can sometimes seem a bit overwhelming. At Stern Risk Partners we don’t try to confuse or mystify you with technical captive jargon. We provide a simple, uncomplicated approach to delivering the most appropriate captive insurance solution for your organization. We provide straight forward, results-driven answers that help you make intelligent and informed captive insurance decisions. The concept of captive insurance has been successfully utilized by both large Fortune 1000 companies and closely held regional companies for over 55 years. While captives may be a new idea for some organizations, there are actually more than 7,000 captives in the world today. Some of these captives may contain hundreds of group member insureds, making the total captive participation universe significantly higher. Have you ever met or had a conference call with a so called “captive expert” and thought, “this person has no idea about our business”? At Stern Risk Partners, we get it! At Stern Risk Partners, we’re experts in our craft. Captives are what we do, and we understand the exposures within our industry verticals. Knowledge of the specific risks and exposures of individual niche industries is critical to delivering the most appropriate captive insurance design and structure. 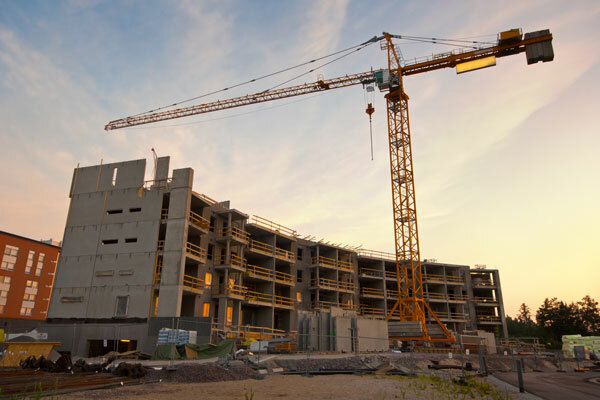 We have developed deep industry experience in General Contracting / Construction, Residential Homebuilding, Multifamily Real Estate, Technology, Manufacturing, Higher Education as well as numerous other industries. Whether it’s a captive deductible or SIR reimbursement policy, a fronted program arrangement or an insurance policy that has been customized for your specific industry - we deliver the appropriate solution for every client, every time. We help you look beyond the ordinary liability exposures to dig deeper into risks created by third party relationships. We know what works and how to deliver the results that will work for your company. For years, we’ve been in corporate conference rooms all over America interacting with CEO’s, CFO’s, Risk Managers, captive owners and prospective captive owners – delivering captive results. We’ll help you find a new income source by capturing underwriting profit and investment income from affiliated customer and supplier exposures - providing you with more control of your risk management program. The world of captive insurance can sometimes seem a bit overwhelming. At Stern Risk Partners we won’t try to confuse or mystify you with technical captive jargon. We provide straight forward, solution driven answers that help you make intelligent and informed captive insurance decisions. Have you ever met or had a conference call with a so called “captive expert” and thought, “this person has no idea what we do”? At Stern Risk Partners, we get it. Understanding the specific risks and exposures of various industries is critical to delivering the most appropriate captive insurance design and structure. We have developed deep industry experience in Construction, Residential and Commercial Real Estate, Technology, Manufacturing, Retail and numerous other industries. We know what works and how to deliver results that will work for you. We will help you look beyond the ordinary liability exposures. Whether it’s a captive deductible policy, a fronted arrangement, or a policy that has been customized for your specific industry - we will deliver the right solution.